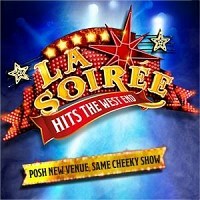 La Petite Soiree is the younger offspring of La Soiree. "The afternoon La Petite Soiree will have the spirit of La Soiree running deep through its veins with a little less of the sauce!" Suitable for ages 8 to 80.